Terry Beck had a lifelong love of the military and joined the Marine Corps in 1966. His Basic Training was at Camp Pendleton and Special Forces K9 Training with K9 Seato at Camp Lejeune. Terry and Seato made the ultimate sacrifice on December 20, 1967, in Vietnam. Let us never forget those who gave their lives. 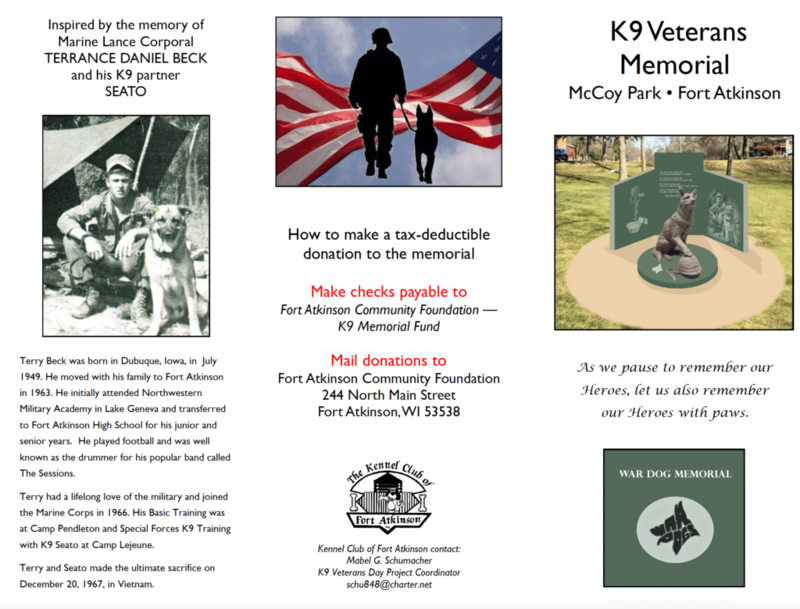 to achieve this, and to honor all the military working dogs and their handlers, the Canine Veteran’s Memorial will be dedicated and unveiled on June 25, 1:30 p.m. at McVoy Park in Fort Atkinson, WI. 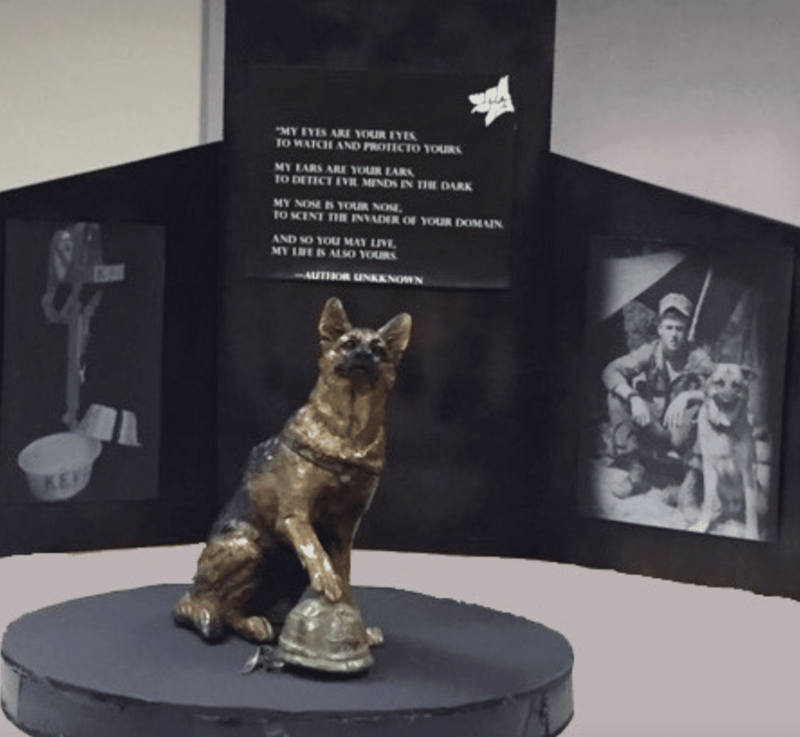 Artist, Mark Dziewior has created the one-of-a-kind War Dog bronze statue at the center of the War Dog memorial. The K9, resting its paw protectively on its handler’s helmet, expresses the enduring canine/human bond. 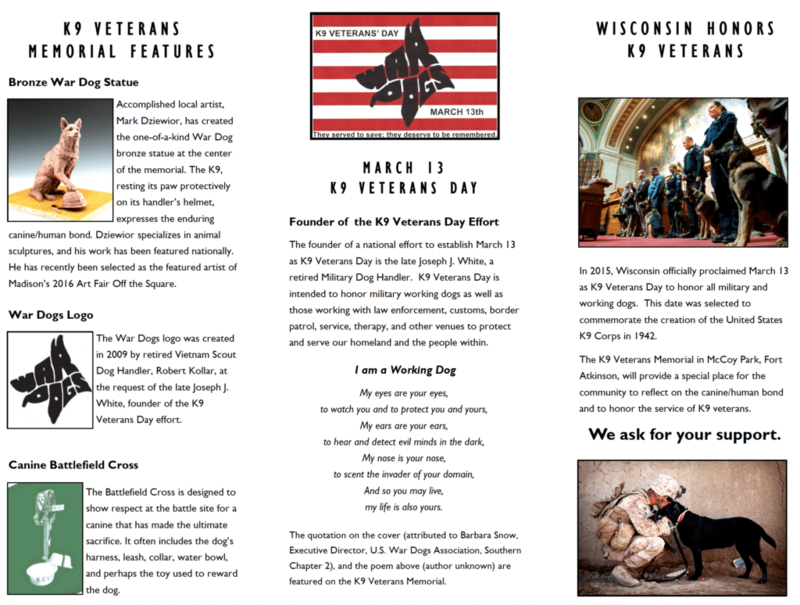 Read about military working dogs.